In my earlier years I'd been hesitant to admit a truth that had been blatantly obvious from the very beginning. I'm going to die. Eventually. Alike most people I'm rather hoping that it doesn't happen anytime soon. There are quite a number of things that I wish to achieve before my time comes. Most people call these lists their 'bucket lists'. I've recently realised that quite a substantial amount of the items on my bucket list have some relation to books or reading, so I thought I may start a new series on the blog that centres solely around these things on my list. My bookish bucket list. In each installment of this rather random series, (which I'm hoping some people may actually find mildly interesting) I am going to share with you five of the book-related things I wish to achieve before I reach the end of the road. P.S, these are in no particular order. I've randomly selected all of them to make things more spontaneous. I guess its safe to say that this is probably one of the most common book related bucket list goals of all time. Every booklover can probably admit that this is on their list, and why wouldn't it be? 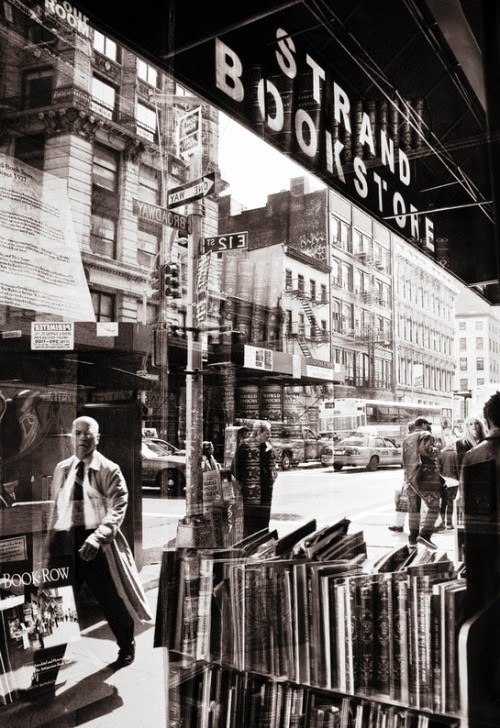 The Strand is that bookstore that is constantly popping up in movies, television and books too. It's so big and I can just imagine myself spending a whole day there simply browsing the shelves. Every year I'm filled with envy after seeing photos of fellow book bloggers meeting authors and receiving glorious ARCs. These conventions seem like they'd be an extremely fun experience, especially if I got to spend it with some blogger friends! Just imagine how fun that would be. I really have my heart set on this one. I'm already planning it in my head. 2016 will be my year. Read all of Jane Austen's novels. I'm a massive fan of Jane Austen but it saddens me to admit that I've only read two of her novels. Pride & Prejudice and Sense & Sensibility. Her works are incredible and I hope one day to be able to say that I've read all of them. See one of my reviews quoted and printed. I know I haven't been in the blogging business for a very long time but this has been one of my goals from the very beginning. To see my name printed in the back of a book I've loved.. that would be an absolute dream. Gayle Forman has been my favourite author since the first time I read If I Stay in 2012. Since then I've read and absolutely adored every single one of her novels to date, but one. (Sisters in Sanity) There's something so magical about the characters she is able to create, and every one of her books leaves me emotionally exhausted, in a good way. It'd be incredible to meet Gayle, and to get my books signed! I'd probably cry. I'm not even overreacting, it'd probably happen. So there we have it, those are five of the things I have on my Bookish bucket list. Do you have a Bookish bucket list? If so, do we share any of these goals? If not, why don't you create your own? There are so many other things from my list that I'd love to share with you guys, I can't wait to do another installment of this! Also, I'm very curious to see what you have on your list. Let me know! I think it's safe to say that our bucket list is pretty similar. Strand? YES OF COURSE. BEA? DUH. Get quoted? FANTASTIC. Read all of Jane Austen's books? Yes... in theory. I'd love to get through all her books but I'm so bad when it comes to reading classics so it might not actually happen. 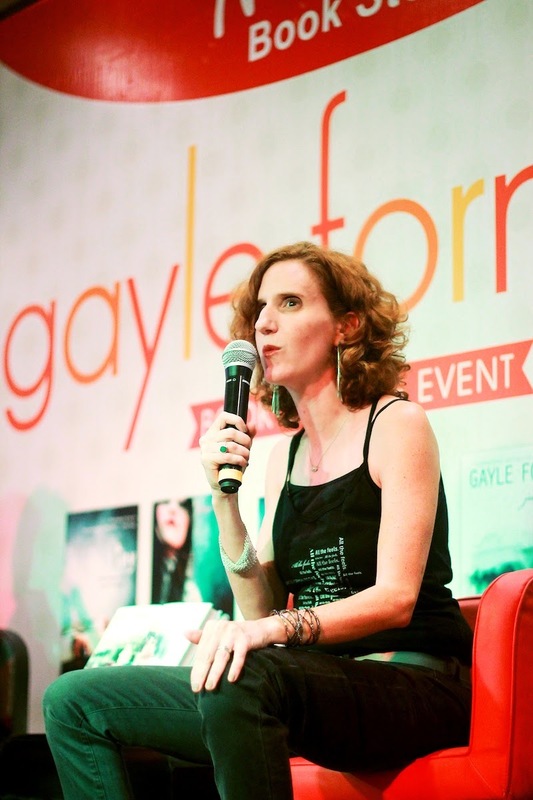 And yes to Gayle Forman! I've only read Just One Day but it was soo good and I'd just love to meet her and talk to her about that book because it gave me so many feels! It's so nice to see that we share so many goals! And yes.. I'm not the best when it comes to reading classics but I do hope to accomplish eventually. Just One Day is amazing! You should read the rest of her novels. Just One Year is great too but Just One Night (the novella) is by far the best! THE STRAND YES. BEA YES. AND MY DEAR, DO READ ALL THE AUSTEN. She is brilliant. Absolutely. 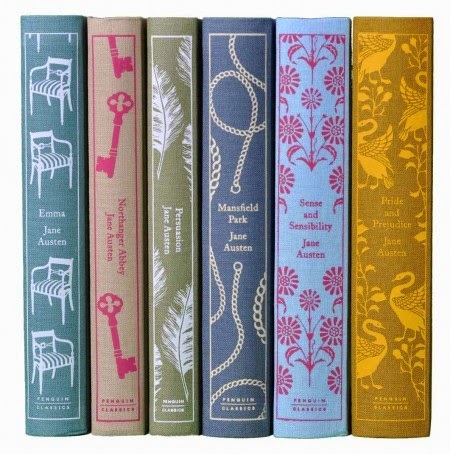 I love a bit of P&P but honestly, I think Emma may be my favourite and perhaps Mansfield Park! I WANT TO DO ALL OF THE THINGS! I think I may read Emma soon, I have a vague understanding of the plot so that may help a little. THE STRAND AND BEA, AH LORD. I WANT THEM SO BADLY IT HURTS. I've listened to the first few chapters of Emma, and I've seen the BBC TV mini-series of Pride and Prejudice, but that's it. I will read them one day. And YES! All the bookish events! It saddens me when I can't go to them. And if I ever found a review of mine quoted on a book, I might just faint. This is soo accurate. I havw fell inlove with yoyr blog recently its so raw and true! You seem so genuine from it!! Love that! And youve inspired me to start reading so much more!!! I love it but its so hard! AND this list, is so perf 👌👌 ahhaahhahah I dont get YA authors, they once used to be teens too, cant they write something authentic without the stereotypical aspects of the book. Thanks!! Awww, thank you so much for all of the kind words! You don't know how much it means to me and I'm very honored to have inspired you to read more! I'm curious, how did you stumble upon my blog? I can't thank you enough for all your sweet messages! Aw, that's cool! Thank you. What's your insta?